Christian higher education and hip-hop music seem an unlikely match for some. Many naturally associate hip hop with vulgar language, drugs and the abuse of women. But that’s all about to change! Four-time Dove nominated Christian hip hop artist Lecrae will headline the 2012 Unashamed Tour sponsored by Grand Canyon University. The 2012 Unashamed Tour comes alive starting October 4th and will make visits to 30 major cities across North America, including a stop at Grand Canyon University Arena on November 2. Lecrae, who is co-founder of the Reach Records music label, will be joined by fellow artists Trip Lee, Andy Mineo, Tedashii, KB and PRO. The multi-talented group will share their similar journeys and explain how God has used their rap skills for His glory. Grand Canyon University shares in the vision of Reach Records; to bring the unreached to know Christ. Grand Canyon University offers a salt and light environment with a unique array of Christian faith backgrounds, allowing everyone the opportunity to share their faith and find God’s purpose for their life. Reach Records and ReachLife Ministries strive to “bridge the gap between biblical truth and urban context.” Founded in 2003, Reach Records is a Christian music record label dedicated to using music as a means of reaching the urban community in a biblically sound way. Growing up, Lecrae lived a life of crime, with his role models being rappers and gangsters. He turned to using and dealing drugs, stealing, and was on a gang list to try and find purpose in his life. 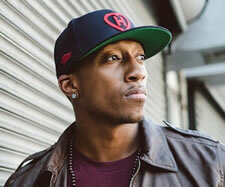 Being skilled at the rap game, Lecrae viewed it as his individual source of significance and became a known talent. During his time of running from God, he experienced several pivotal events; one in particular was his involvement in a horrifying car accident. The trauma of the accident caused him to re-evaluate his life, cry out to God and completely surrender. At this point, Lecrae decided to only produce music that would lead others to know God and experience His glory. Trip Lee grew up in Dallas and started rapping at the age of 12, but his lyrics were centered on topics like women, fame and money. At 14 years old, Lee gave his life to Christ and decided he would only pursue Christian hip hop moving forward. After meeting Lecrae at a concert, Lee was given the opportunity to write a few devotionals for the Reach Records website. Following his debut album, Lee signed with Reach Records just a few days after his high school graduation. Andy Mineo was raised in Syracuse, New York by his single mother and, having no positive male role models, struggled with physical aggression, profanity and respect for authority. The summer before entering 8th grade, Andy attended a Christian camp where he was introduced to Jesus. But his focus quickly turned to music and status. During middle school and through high school Andy operated a lucrative recording studio out of his mom’s basement, recording and producing hundreds of artists in Upstate New York. He was also part of a rap group with some friends that led to a deal with Syracuse University’s Marshall Street Records. Though he struggled for many years between his old ways, and living a life for Christ, Andy finally vowed to use his talents only to honor God and bring others to Him.